The admission price is $30.00 per set PLUS a 2 drink minimum. 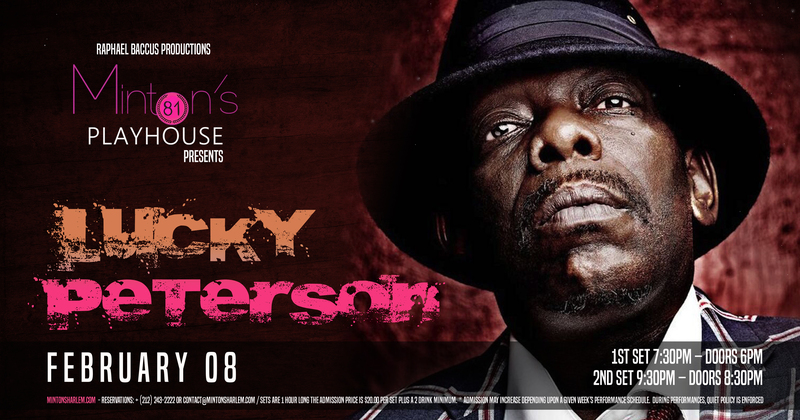 Legendary American Bluesman Lucky Peterson, master of the blues guitar and the Hammond B3 , in 2019 will be celebrating his 50th Anniversary of performing professionally. Born in Buffalo, NY in 1964, the son of James Peterson, a renowned blues guitarist and owner of “The Governor’s Inn”, a popular roadhouse club in the city and regular stop for some of the most famous bluesmen of the day. 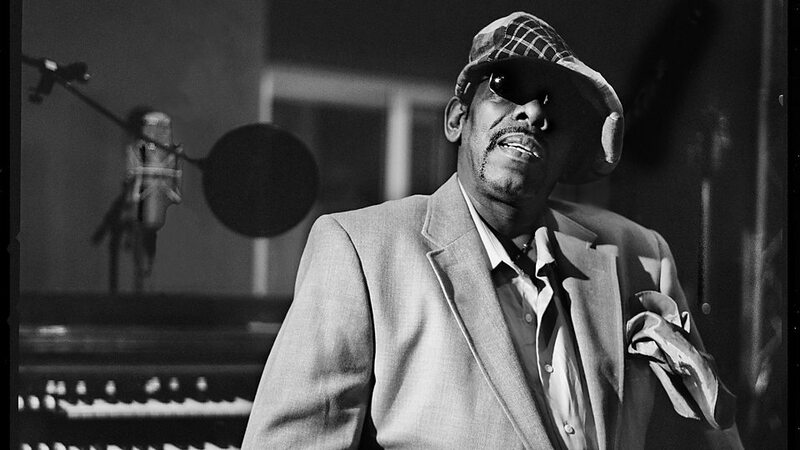 With all of the incredible talent and music going through the club, Little Lucky Peterson, as they called him at the time, learned very early in his life that his true calling was music, and in particular the Blues! Invitations immediately started to pour in for him to perform live on national TV from such major television programs such as the; “Ed Sullivan show”, the “Tonight Show” and “What’s my line” and many others….. With this first album, Little Lucky managed to reach out and grab the attention of the whole country with a hit song written for him by his father “1-2-3-4” a cover version of James Browne’s big hit “Please, Please, Please”. And the rest is history! 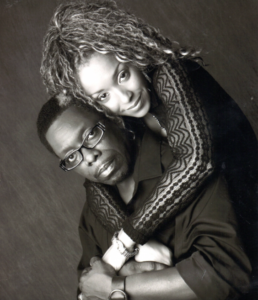 others and has since spent his years touring extensively – worldwide – with his group – The Organization – playing his own original style of contemporary blues, fusing soul, R&B, gospel and rock and roll. 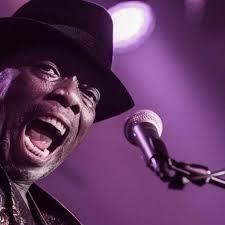 In March 2018 Lucky Peterson was nominated alongside, Taj Mahal, Keb Mo and Robert Cray, by JAZZ FM in the UK for this year’s “Best Blues Act” award. Germany, Bosnia Herzegovina, the UK and other European countries. In late October into November he will tour in North America. The tour lineup includes, Lucky Peterson (vocals, guitar, Hammond B3 and piano) accompanied by his band The Organization (Shawn Kellerman on guitar, Rachid Guissous on keyboards, Timothy Waites on bass & Raul Valdes on drums) the show will also feature a talented singer from Texas, who is also Lucky Peterson’s wife, – Tamara Tramell – she performs a fascinating mix of southern soul and modern R&B which manages to also combine both tough bluesy edges and a pop sassiness-a truly unique artist!